Grayheron Photography: Catch Up Time! September was a particularly busy time from a business and personal perspective and there was little time left for blogging! Nevertheless, despite the lack of postings, things have been going on in the background and I will use this post as a ‘September catch up’. As usual with such things, my time has mainly been spent transferring over the various plug-ins I have: or to be more correct the various plug-ins I now find myself using! It seems photographers always need to learn from personal experience; hence I have many PS-CC plug-ins that I purchased, but now never use! So what do I consider to be my go to Photoshop-CC plug-in set? Well at the top of the list is the TK-Action set from Tony Kuyper (see http://goodlight.us/writing/actionspanelv3/panelv3.html ); closely followed by the Nik Suite (www.google.com/nikcollection ). I would then throw in a couple specialist plug-ins to complete my go to set-up, ie: Flood by Flaming Pear (www.flamingpear.com/flood.html ) and ALCE (www.cs-extensions.com/products/alce/#alce-example ) by CS Extensions. That’s it, ‘four of the best’, well at least IMHO. 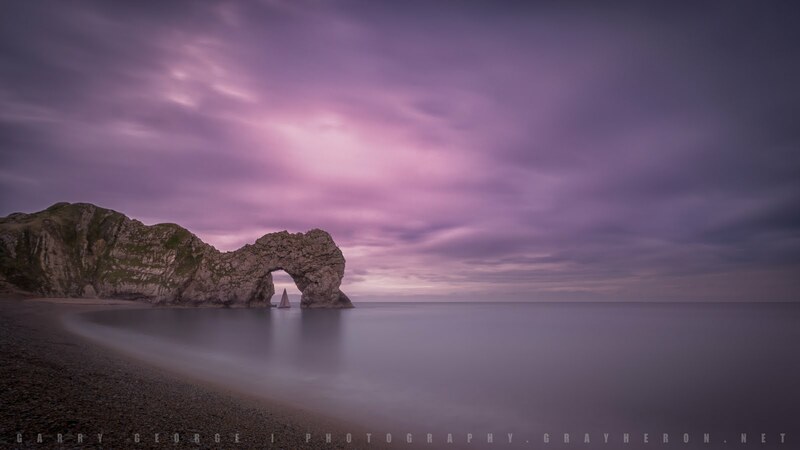 One thing that some may find interesting is that I have not mentioned any HDR programmes; when a year or so ago I would have been waxing eloquently about bracketing and PhotoMatix etc. The fact is I hardly use HDR processing these days. This is mainly because of: the base capability of my 5DIII; coupled with Magic Lantern A-ETTR and Dual-ISO; and a greater use of PS-CC to ‘get the look’ I’m after. In other words, I tend to take the (RAW) data I need from a single image and use PS-CC layers to make the image. Of course, I’m not saying I will never use exposure bracketing again; but it will tend to be on a limited basis, ie very large dynamic range scenes, ie greater than, say, 14Ev. So, on top of the plug-ins above, I would throw in PhotoMatix, especially as it has a 32-bit LR capability. September was also when Adobe CC issued another ‘update’ and, although it was not a major release, they did throw in one thing of direct interest to the photographer, albeit buried in Camera Raw. Until now, if you used the graduated filter in ACR (or LR), you had no way to recover the negative impact of the filter on foreground areas, eg buildings. In other words, you only wished to impact the sky, but the filter couldn’t differentiate the sky from, say, a church tower sticking up in the sky. 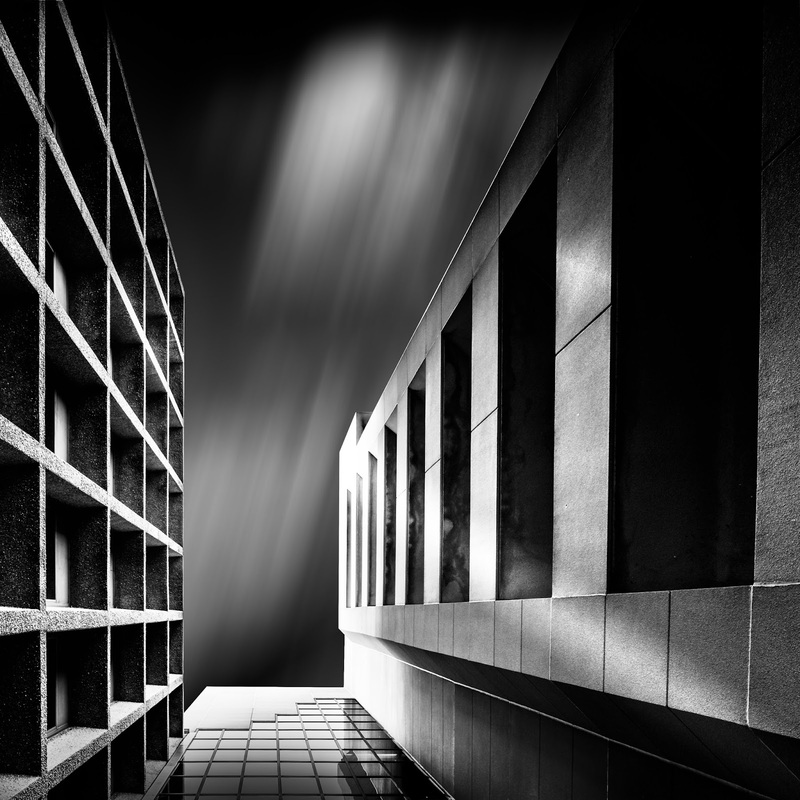 ACR now provides a means to mask out an area in the graduated filter, eg a building. At the moment it is only in ACR, eg not LR; but I hope Adobe builds it into the next release of LR as it seems to be a very useful tool. 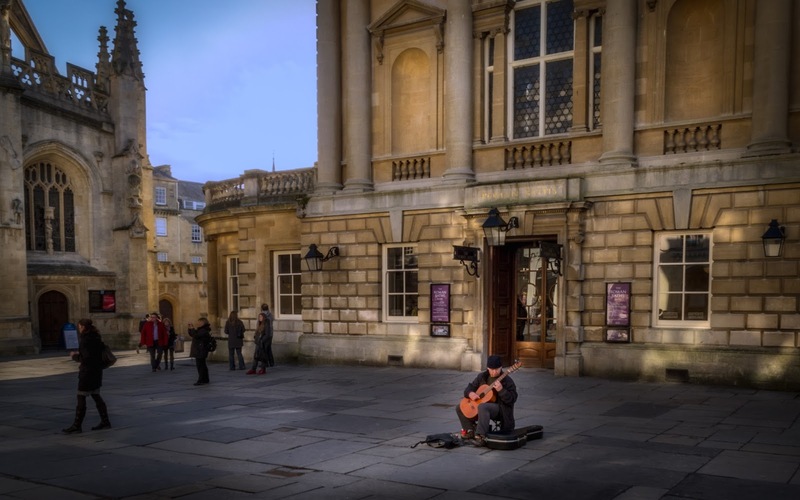 September was also the start of my Camera Club’s year and thus the first monthly competition and the theme for September was ‘Street Photography’. This is the first year where I am in the ‘top’ grouping (AA) of three classes, ie B(eginner), A and AA. The rules of our Club’s monthly competition are that you can submit two images (one digital and one print) into the themed or open category. Like many clubs the judges use a CIT framework to judge the images: Composition (5), Impact (5) and Technical (5), ie a maximum score of 15. Here are my two submissions for September; which gained me a third place (with a CIT score of 13) for my “Music: The Cloak of Invisibility” and a second place (with a CIT score of 14, the same as the first placed) for my “Urban Slot Canyon”. Another catch up event was the Inter-Club Summer Competition that I ran for our New Mexico club, with a UK club from the South of England. This was the first time our NM club had undertaken such an event, which was run over the summer ‘recess’ and was fully digital, thanks to Dropbox! The competition resulted in two Judges (one British and one American) judging a randomly mingled set of 72 (36 + 36) UK and US images in a single fully open category, and assessed using the CIT approach. The result was a near dead heat, with the US club slightly ahead, by a couple of points. What was of interest to me was to see if there was a cultural bias in the two judges’ scores. By just eye-balling the results, ie not using any fancy statistics, I would say the differences between the two judges simply reflected personal taste, rather than there being a strong cultural bias. I think all agreed it was an interesting event and one that I hope my NM Club will repeat (the UK club had done this before). Earlier in the year I had left eye surgery for macular puckering; which went well, but was guaranteed to trigger cataracts. Luckily my right eye is my dominant one! So last week I underwent cataract surgery and, I have to say, I was impressed. The actual surgery was about 10 mins; no knife was used, ie ‘just’ ultrasonics (phacoemulsification), and I had no stitches. The world is suddenly brighter and clearer again! As a post-surgery treat, we visited Taos last weekend as it was hosting the annual Wool Festival, which, although was interesting, formed the backdrop for the visit for me, as I really wanted to visit the Taos Pueblo. Wiki tells us that Taos Pueblo (or Pueblo de Taos) is an ancient pueblo belonging to a Tiwa-speaking Native American tribe of Pueblo people. It is approximately 1000 years old and lies about 1 mile (1.6 km) north of the modern city of Taos in New Mexico. 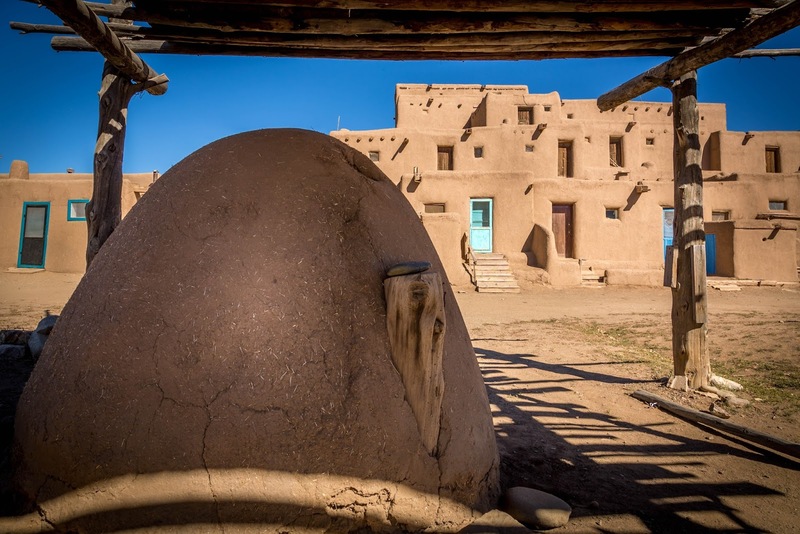 The pueblos are considered to be one of the oldest continuously inhabited communities in the United States and there are many all over NM. 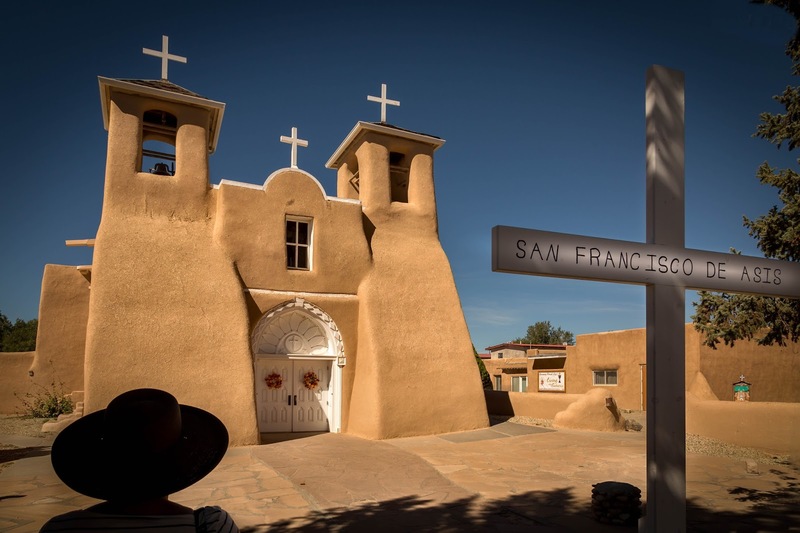 The Taos Pueblo has been designated a UNESCO World Heritage Site. The Taos Pueblo is a member of the Eight Northern Pueblos, whose people speak two variants of the Tanoan language. The Taos community is known for being one of the most private, secretive, and conservative pueblos. A reservation of 95,000 acres (384 km²) is attached to the pueblo, and about 4,500 people live in this area. Finally, what about Magic Lantern? Well things have got a little complicated over at ML. First, there were some bad feelings created by someone introducing a more commercial flavour into some of the ML post processing developments. Thus, we have not had an update from some time; although Alex and others are still working in the background and getting ready for another (nightly) release. Secondly, the ML gurus, especially the video side of ML, have linked up with an open camera development called Apertus: www.apertus.org . I was tempted to ‘donate’ to the Apertus development, but felt it was a little too biased towards a ‘videographers’ needs. Time will tell, but the Apertus developments look interesting and offer us a potential insight into the future, ie more open-source hardware developments, into which ML-like functionality can be introduced – without the limitations imposed by major camera manufacturers. Watch this space as they say! Enough of the catch up: I hope to get back into my more usual flow soon and, as always, welcome feedback on this blog.